As a premedical advisor and medical school admissions consultant I encourage prospective medical students to read books that will expand their view of the medical profession. Reading literature allows us to better understand the human condition which, in turn, makes doctors better practitioners. In addition, during medical school interviews applicants are sometimes asked about books they have read about the medical profession; interviewers want to know whether the applicant has been curious enough to read about his or her chosen profession. Take a look at the full list and let me know if there are others you would suggest including. Goodreads also has a list of Best Books for Medical Students. In addition, the Daily Beast has an excellent article about books written by doctors. 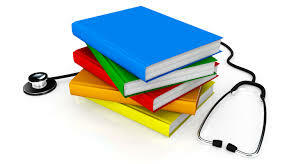 A medical student at Stanford has also recommended specific books for medical students. Finally, STAT has come out with a list of 39 health and science books. For an overview of the US health care system I suggest The Health Care Handbook. This entry was posted in Books for Premedical and Medical Students and tagged books for med students, books for premed students, premedical books. Bookmark the permalink.